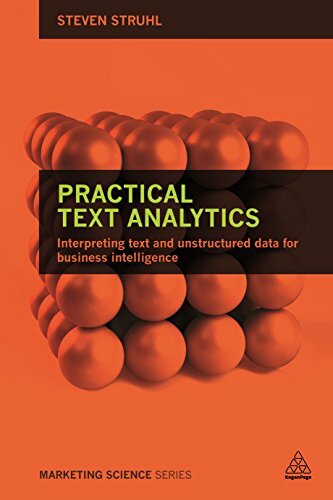 Bridging the gap between the marketer who must put text analytics to use and data analysis experts, Practical Text Analytics is an accessible guide to the many advances in text analytics. It explains the different approaches and methods, their uses, strengths, and weaknesses, in a way that is relevant to marketing professionals. Each chapter includes illustrations and charts, hints and tips, pointers on the tools and techniques, definitions, and case studies/examples. Consultant and researcher Steven Struhl presents the process of text analysis in ways that will help marketers clarify and organize the confusing array of methods, frame the right questions, and apply the results successfully to find meaning in any unstructured data and develop effective new marketing strategies. If you have any questions about this product by Kogan Page, contact us by completing and submitting the form below. If you are looking for a specif part number, please include it with your message.